Oh, running back Ronald Jones is a freak of nature alright. It’s not easy to rush for 22 yards on 28 carries like Jones did last preseason. That’s about as freakish as a running back averaging 2.9 yards per carry and then getting paid a fat contract to return the following year after a benching and a three game suspension — and then averaging 2.9 yards per carry again. Barring a bizarre meltdown. Jones, the No. 38 overall draft pick in 2018, will be back on the Buccaneers’ roster this season. He’s still 21 years old and maybe a fresh start will help him bounce back from a bad rookie year — at a position where rookies often excel. America’s Quarterback, Jameis Winston, said he sees the talent oozing from Jones and is hopeful it will show up in games. Joe is putting no faith in Jones, but Joe also has a clean slate for the guy. He’s so young and he wouldn’t be the first rookie to crumble under NFL pressure. Joe has been told by reliable sources that Jones was a very immature rookie when it came to football, sort of the exact opposite of Chris Godwin in 2017. Another 2nd round blunder by Backstabbin’ Jason Licht. This is his last chance to prove that Licht didn’t blow it in the draft again. Don’t worry. Under Arians Jones will either perform or be gone. I’m a little disappointed in this guy. No hiding though, this yr we shall see if Mr. Jones can cut the mustard. Good luck sir. He has no hands, at all. How do you fix that? I’m hopeful. I went back and watched his tape against OSU and some other teams with good front 7 NFL defensive talent and he looked like he belonged all day. Makes the first guy miss pretty consistently and doesn’t go down easy from arm tackles. With any sort of crease / hole he typically was good for 10-20 yards easy with potential to score any play. 23 carries is a s**t sample size. Some of the best backs have had plenty of games with 20 carries for like 50 yards. He had 23 for 44. 47 of his yards gained were AFTER contact. Meaning he was being hit behind the line of scrimmage on average for his 23 run sample size. Not sure how many backs – if given 23 carries where on average they are hit behind the LOS every carry – would produce a big stat line. Joe, when did you start actually believing what Winston says? and this is one of the reasons you cant take what jameis says seriously. I never felt he was given a chance to acclimate to the NFL. The best way to do that is playing time, and he was not given it. Okay, so he started off very rough…but he moved on and had a couple great plays afterward. And then they stopped playing him. I suspect he’s much better than we have had the opportunity to see. Cannot be any worse. I mean…the kid’s confidence has to be at an all time low after last year…the only thing his QB can do to start rebuilding it, and to say something like this. Can you imagine if the alternate happened and he crushed the kid for his YPC average or hands of stone? On a side note, @ #70 in the 3rd round Miles Sanders and/or Devin Singletary should be there. If Peyton Barber goes down, I am not comfortable with a depth chart of Ellington, Rojo and Wilson. I did not realize that players are busts after only their rookie season. That logic will also apply if they have a great rookie season and follow up with a poor second season then there will be a ” need” at their position. Thankfully, most teams allow time for a player to develop instead of looking for replacements in haste. Sometimes fan’s perspective and reality are far apart. No hands, no power, no confidence….BUST!! Not true. He caught a pass for a great play down the sideline in one of his 22 plays last year. The kids was never really given a chance, and fans think he’s a bust based off 22 plays? Probably long before any of us would believe or care about what you say. Look no further than former USF standout Marlon Mack. His first year, hampered by injuries, roughly 300 yards, came back his sophomore season for the Colts and had almost a 1000 yards, less games. Opportunity and coaching (maybe getting an all-pro guard to open up holes helped also) Let’s go ROJO. Exactly, Koetter had a horrible reputation with Rookie running backs, not sure how or why everyone has forgotten about that. I think with a combo of never really having the faith from his OC/HC and sub par coaching last year really factored into his performance or lack there of. Those of you idiots calling this kid a bust after one year are just wannabes who want to provide a “hot take” to get a response rather than providing anything based on real knowledge of the game or the player. Ironically, in game 7 he had the most opportunities…6 run attempts. 1 pass. His longest run in that game was 9 yards, but that was with only 6 run attempts to warm up. He caught a pass for 15 yard gain…and he scored a touchdown. When given a chance to clear the cobwebs, he has shown he can produce on the field. Btw, same goes for Cappa and MJ Stewart. Two other fan’s perception of bust or disappointment. Cappa càme from a division II small school taking time to adjust to NFL level. Stewart battled injuries throughout season that may have affected his speed and quickness. He suddenly now is too slow to cover outśide receivers according to opinion. Coaches will try him at safety. But it does not rule him out at corner ór nickel in the future. Bottom line the team still has not given up on them. So they are not busts quite yet. Was it that he crumbled under “NFL pressure” or he did not have an “NFL O-line”?????????? 2019 will reveal answers to the sheep, that the “real” fans already know!!!!!!!!!!!!!!!!!!! Nobody can run the ball when they wrapped up 3 yards behind the line. If you are going to complain about Jones then in the same sentence you need to complain about the worst run blocking O-line imaginable. I don’t see how our run game will ever improve without a complete overhaul of the O-line. Rojo needs to lower his center of gravity when he runs. His vision needs improvement too. He offers excellent burst and can break tackles if he has a chance to get up to speed. I’ve watched his college tape and he looked like a different runner from year to year. He looked raw his freshman year and his confidence appeared to grow sophomore and junior years. If the new regime can coach him up and the kid gains some confidence he’ll be a valuable asset on this team. Time will tell…….. Even I could have rushed for 30 yards. Oh hell, why not try to be optimistic about something. Kid reminds me of a boot camp washout, that is awarded the Bronze Stare with Oak Leafs for heroism 2 years later. Football is more often a reflection of life. 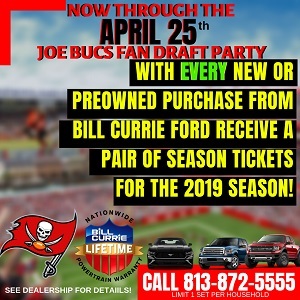 Buc fans are due for a feel good story. People forget that Freeman exploded the moment Dirk left Atlanta. I suspect our running backs are better than they seemed under Koetter. I think the only SEC film I can see is Alabama. The teams I mentioned all had NFL players across the defense though. So basically he didn’t get many touches but when there was actually a good hole he flipped the field. One play like that last year and his YPC would have doubled lol. I have a decent amount of, let’s call it gut instinct faith, that ROJO 2.0 will be well worth the pick. That said it’s always a good idea to have a plan B just in case, so hopefully they pick up a day 3 RB in the draft to come in and compete. Same philosophy with a QB as well, though that’s more for developing. too small of a sample size to judge rojo…..
and he wasnt developed just like the rest of the team…. That 2.9 yd per average RB managed 4.2 yds per carry behind a less expensive offensive line last season. You connect the dots. dirk crumbled under “nfl pressure”……lol….. It will be fun when both Spence and Jones prove to be worthy of their second round drafts picks and half of you clowns see that Licht isnt a coach on any level. I wouldn’t be putting all my eggs in the “rebirth of Rojo” basket if I were the Bucs. And comparing him and Martin is ludicrous. Even in his 2.9 years, Martin still showed he belonged……provided that he made it to the LOS, that is! LC right on…..I know this is not a RB centric league anymore BUT, with some of jameis limitations a good rushing attack would help the QB and in turn would help the putrid defense. Koetter had the perfect opportunity to use Rojo but didn’t……late in the season….no carries…kept going with Barber. 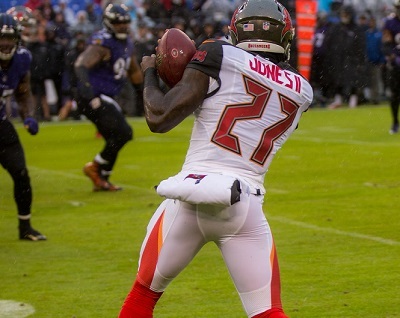 Earlier in the season when we put Rojo in…..we might as well have had the stadium announcer say “They are handing it to Jones”…….the only way to evaluate him is to let him carry the ball….and not once a game. fanman, I wouldn’t put all my eggs in that basket either, but I wouldn’t bet against it either. Koetter and his merry band of misfits were that bad of coaches. If you made one mistake you were basically in the doghouse for the season. Arians will get RoJo right or he will be gone. Dude can absolutely fly, if he can get loose. Arians knows how to get people open. I wouldn’t throw away anyone that those buffoons said couldn’t play at this level, maybe it was that THEY couldn’t coach at this level anymore and their time has simply passed. I’m hoping this can be a Melvin Gordon type thing. I’m not saying the two players are equals. I just know that Gordon had a beyond awful rookie year. And now he’s an elite running back. I know, drafted much higher. Not the same caliber player. But still. Also, why discount Jameis’ opinion on RoJo. He does see the guy up close. jjbucfan- Hey man, in a perfect world Rojo becomes the next Barry Sanders and this conversation becomes about how soon he’ll be inducted. I hope that he just needs the “extra” coaching. You just want to see something, anything that gives you hope. MAYBE there’s a reason for that LC? PERHAPS it’s because the defense knew pretty much what was about to happen? Defenses could pretty much feel safe in assuming that RoJo wasn’t in there to pass block. Nor was he in there to catch a pass downfield (he was only targeted 9 times all season). By elimination there was a pretty good chance he was going to get the ball for a run OR he was being a decoy. When you have a limited skillset, it kinda sorta simplifies the defense’s job. He only got 90 offensive snaps TOTAL all season, and over half of them (49) occurred in just 2 games (Chicago & Cleveland). Relatively few carries in the last 2 months, which I can’t understand why (we already had a lousy record, why not out him in more and see what he has … or doesn’t have. Give him a line my grandmother could run behind. Help Wanted.Draft within. Rojo has a lot to prove based on how his rookie season went. His College highlight tape is chock full of dazzling one cut and speed to the house plays. We didn’t see that once all season. Quite sure the 31st ranked run blocking unit and only 23 attempts is the primary reason – but its hard not to be down on the pick when we didn’t even get one flash play from the kid his entire rookie year. Reading between the lines it seems that Jones was not the most – shall we say – “prepared” RB at Koetter’s disposal last year. If that is the case -then I hope Rojo has re-dedicated himself to being the best professional football player his talents will allow and makes attempts to beat Winston into the building each day this off-season. BA will help flip that switch for Jones. Pretty quickly I bet. If not – then the kid just doesn’t care much about football and will be off the team and out of the league before his rookie contract is completed. No doubt–hard to believe–that is added to all of Jason Licht’s misses in the draft. Keeping Doug Martin and expecting different results with no changes. At least Rojo stands a new chance with new regime. Jason Licht has much to answer for–so many many mistakes. So at least if this year JW balls out-great–we are in good shape, if not then we cut/trade him and get cap space back and a newly drafted QB with no doubt a very early round draft pik in 2020.
so the offense was predictable….. He is a Freak alright. Dude could just fall forward 28 times and he would have six more yards than he does now. Quite an accomplishment. My point wasn’t that Bucs should’ve kept Martin. It was time to move on, he wasn’t the same and didn’t justify his contract. The Bucs previous regime coaching staff were inept at creating a running game and Arians staff should give Rojo opportunities to show he’s not a bust. Martin showed with Raiders that with decent coaching and scheme, he could still contribute. The guy got absolutely no blocking the entire year, and when he did get a hole and made a play it would get called back. I hated the pick of a RB last year, thought it was a complete waste, but based on what I saw last year I don’t feel like we know much about the guy. Go watch every single run from last year and I think there might have been like 2 where he didn’t take a hole that was there, the rest he’s getting hit almost as soon as he gets the ball, so you can’t take much from the numbers. More concerning is Jones’ running style. He reminds me a lot of old Bucs and Bandits RB Gary Anderson, in that he seems to be a guy who accelerates through holes and is very smooth, but isn’t the best at stop and go. I could be wrong since we saw so little of Jones, but that’s what I kept thinking as I watched him – and for Dirk’s scheme he was a terrible match. For Arians I don’t know how well he fits in since I don’t know his scheme, but there is a scheme change and he was a 2nd rounder, so you don’t just throw that away… yet. LMFAO!! – Ok man, that was pretty fricking funny. Our O-line play had a lot to do with the problems that “The Freak of Nature” was having….just draft Mr Anderson with 4th round pick (yes him with the bad knee) if he can’t go this year (practice squad)…..we must fix this O-line!!! Give the guy a break ….Hes 21 years old !!! Dont see getting much outta RoJo this year. Why save a roster spot for this guy who proved he cant run, catch or block. Any warm body would be an upgrade over this clown. For goodness sake be quiet and be careful with your words Winston! We don’t want to hear it anymore! Don’t predict, promise or exaggerate about upcoming season or potential or ANYTHING! Just let your improved play do the talking for you! Geesh! With a rookie RB you see a talent flash even if the overall production isn’t there. Everything said above is true (e.g., Koetter was a predictable play caller), but there still should have been glimpses of NFL talent. The plays he did make any every day Joe could have made. What we did see for sure is that he struggles in protection and is suspect as a pass catcher. Perhaps he’ll do well with a better o-line, but who wouldn’t? The point of a RB taken in a higher round is they are supposed to create some of their own yardage. Practice squad RB’s can take what o-line gives them.